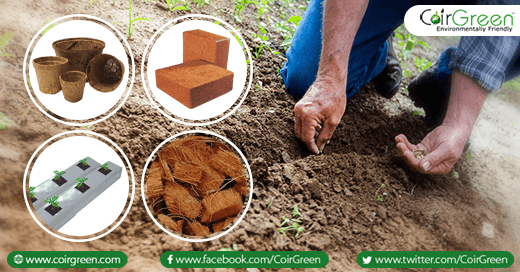 Coir is 100% natural, biodegradable and has many vital characteristics that make it the perfect medium for growing in both agriculture and horticulture sectors. The high air porosity of coir means that it can allow for excellent aeration even when saturated. This helps plants develop roots faster while also allowing for better yields in vegetables, fruits and flowers when used correctly. Because of its high-water retention rate, it is perfect for use during dry and hot climates where plants may not be getting adequate water at times. 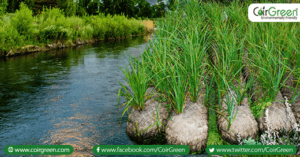 Coir products also has the capability of absorbing water fast while it is in a dry state which helps ensure that plants get all the water that they need. You also do not need to mix in large amounts of coir in one pot. This allows for more potting mixture to be made out with just one or two bags of coir, which makes it cost-efficient when you are growing for the purpose of selling either the plants themselves or the yields. Coir pots can be directly planted into the ground with no transplanting shock. Coco peat, coco chips, growbags, nursery bags, weed control mats can be used as a potting mix or on its own to grow vegetables, fruits and other plants. All these products are completely eco-friendly and will also fertilise the soil as they gradually decay. Coir is perfect for use in hydroponics because of its excellent water retention quality. It also allows for faster seed germination which means that you can enjoy several seedling rotations. CoirGreen™ manufactures and supplies a range of coir-based products for the horticultural industry. The products are manufactured to meet the highest industry standards, and are 100% biodegradable.